…will the USDA be allowed to continue to contract with neighborhoods in north Georgia to cull deer? Currently, the USDA Aphis-Wildlife Services maintains a “Memorandum of Understanding” with the Georgia Department of Natural Resources that allows lethal control of deer. Big Canoe and Bent Tree have utilized the USDA for culling services in the past. What is the general sentiment among hunters regarding the USDA deer culls, given the knowledge that the deer population is declining in many areas of the state? Will the Georgia DNR withdraw the “Memorandum of Understanding”, at least until the deer population rebounds? Note – The Big Canoe and Bent Tree communities are adjacent to each other. Over the last few years, the Bent Tree Board of Directors has voluntarily entered into several contractual agreements with the USDA. The contracted projects included deer spotlight surveys, deer culls, and Canada Goose removal. Lately, the USDA has been in the news for another animal management issue. Click here for the U.S. Court of Appeals ruling. Note: The cat in the photo above has nothing to do with the Hemingway cats story. 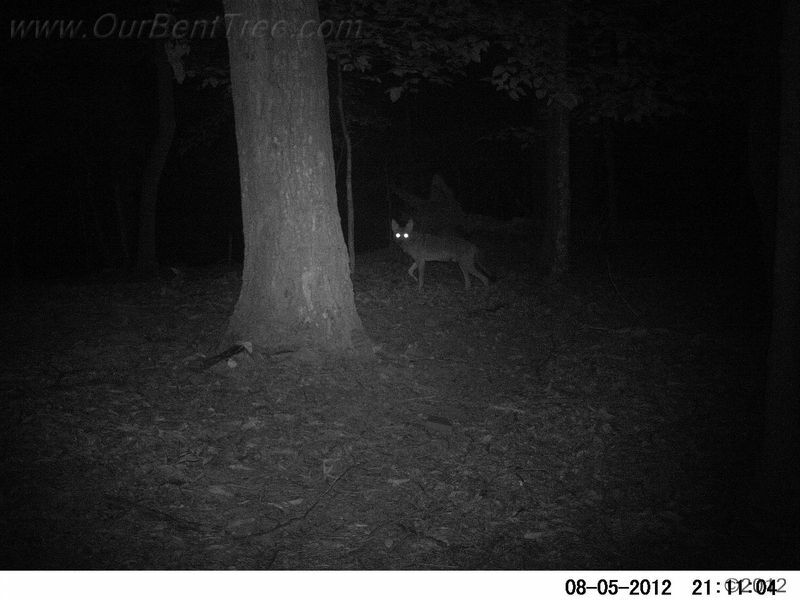 It just showed up on a trailcam in Bent Tree in November…never saw the cat before, and have not seen it since. Following is an excerpt from the approved minutes of the November 2012 Lake & Wildlife Committee meeting. The choice of wording about the exclosures is interesting; “to verify the effectiveness of the deer herd reduction”. Click here for a previous post on a “Predetermined Outcome”. Prior to the first deer cull in our community, some members of Bent Tree leadership spread the message that the deer should be killed “for the health of the herd”. Many Bent Tree property owners felt this was nothing more than unsubstantiated propaganda. The first Bent Tree cull occurred March 14-15, 2011. Culling “for the health of the herd” was no longer a valid argument. The new tag line became “for the health of the forest”. Why did Big Canoe choose USDA sharpshooters over bow hunters? They did not feel it was efficient (would take 30 hunters about 50 hunting days to reach the goal of killing 150 deer). They did not feel it was wise to allow bow hunting on individual lots close to houses because it is intrusive, dangerous and “may result in conflict and law suits between individual owners…”. The committee did look into Suburban Whitetail Management of North Georgia, but did not recommend using their services. The title of this post is a direct quote from USDA Forest Service wildlife biologist John Kilgo (click here to read a previous post with information regarding coyote/deer research conducted by Kilgo). 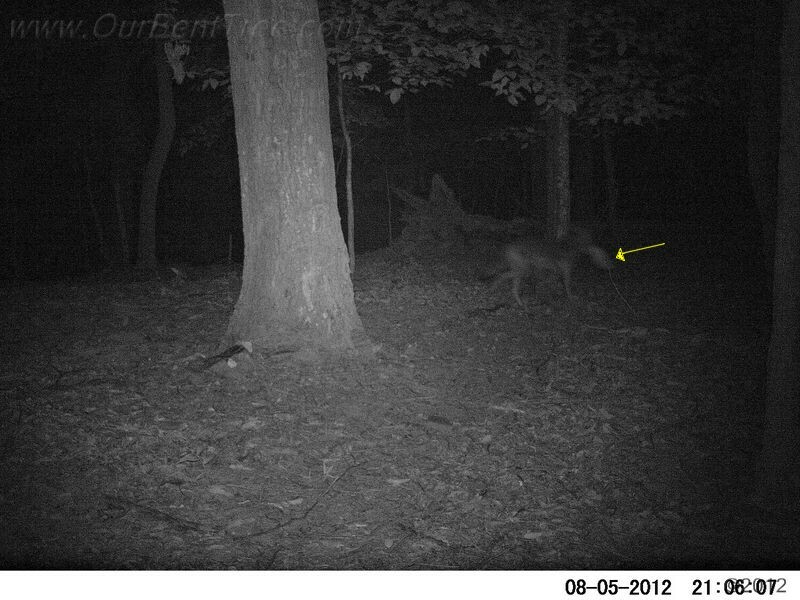 Following are two photos of a coyote taken by a motion-activated gamecam in Bent Tree three days ago. The first picture is a little blurry, but you can see that the coyote is carrying something in its mouth. Five minutes later, the coyote heads back the other way. I’m assuming it is the same coyote, but it could possibly be two different ones. 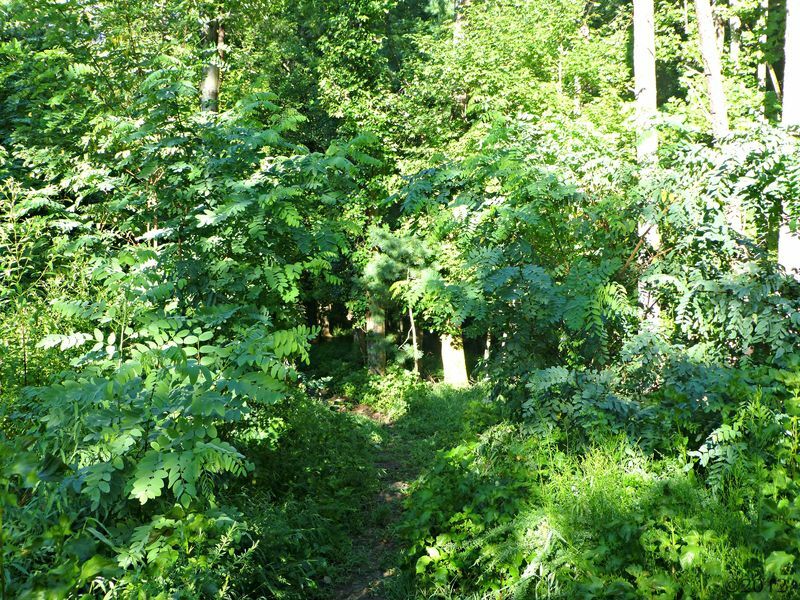 The “vegetative study” which turned out to actually be “An Evaluation of Ecological Impacts of White-tailed Deer Browsing Over a Ten Year Period at the Bent Tree Community” has been the topic of two recent posts (click here to read Saturday’s post). The fact that the report mentioned tick related diseases and deer-vehicle collisions, but never once mentioned drought/rain or shade/sunlight is a good indicator of the substance of this “vegetative study”. The summary section of the report states “A number of ‘de facto’ exclosures currently are found on Bent Tree.” In the April 25, 2011 Bent Tree Cull Report, Steve Smith (USDA) said “Exclosures have worked well in Big Canoe as another tool to gauge the effects of deer browsing. This should be done away from homes in areas with as little human influence as possible. 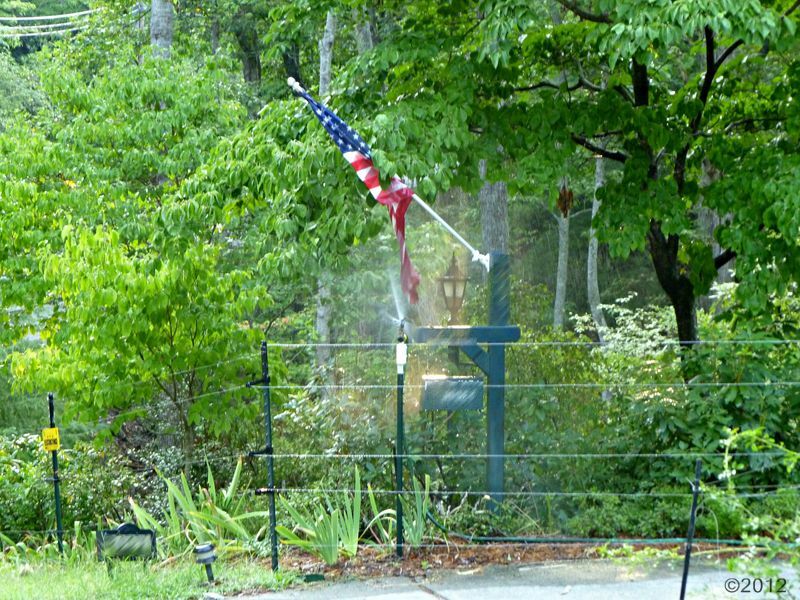 This will help avoid claims of bias such as supplemental plantings, extra fertilization or watering and deer harassment.“ The following photo of a yard in Bent Tree was taken last year (August 2011). The yard has an electrified deer fence. The yard receives extra watering (irrigation shown in action in the photo). Inside the fence are supplemental plantings, and most likely extra fertilization. And, the fence is obviously close to a home with human influence. In other words, everything that Steve Smith said needed to be avoided. Therefore, “ipso facto”, this area is not a “de facto” exclosure that can be used for scientific analysis. The second photo below was taken last week in a lower elevation of Bent Tree. This area is not fenced, has no supplemental plantings, no added fertilizer, no artificial irrigation, gets good partial sunlight, has deer, and has a good variety of native vegetation. …but, this plant found in Bent Tree is pretty special. 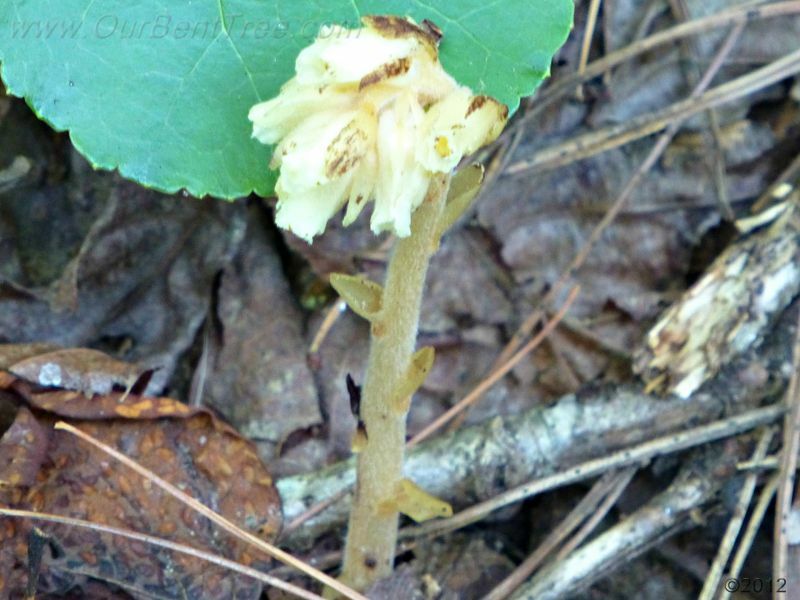 The plant is Monotropa hypopitys (common name is pinesap). Pinesap differs from most plants because it does not contain chlorophyll and does not produce its food through photosynthesis; therefore pinesap is not dependent on sunlight to grow. It is very easy to overlook when walking through the woods. The USDA plant profile database shows no documented pinesap in Pickens County (click here for link).